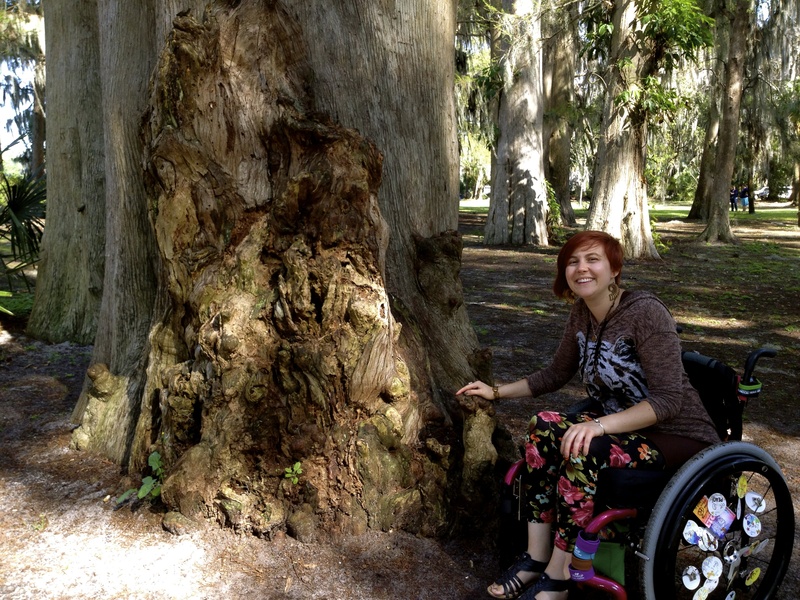 As many of you know, three years ago I suffered a fifteen-foot fall from a collapsed tree house and sustained a T-10 spinal cord injury as a result. I was instantly paralyzed from the waist down—and life was changed forever. My rehabilitation began immediately: I spent four months as an inpatient and eight months as an outpatient, forced to re-learn how to live my life from the ground up. Since that time, I have undergone countless therapy treatments and become educated in nutrition, supplements, stem cells and more. The learning is endless when you have a motivation not only to heal, but also an intention to feel good while doing it. In July 2013 I made the decision to undergo surgery and have all of the metal rods and screws removed from my spine. The procedure was a huge success: about a month after surgery, my hip flexors began to move! I have since continued progressing in my training both in the gym and at home. I am now even able to lift my legs and flex my thigh muscles… at this point the possibilities are limitless! Last summer, I made the intimidating decision to step out into the world and get my own apartment. Despite the adversity that had come my way, I wanted to be independent. Since I was already spending a lot of time in Florida for the work I do with The Avatar Course, I decided to move there! I am living near Orlando enjoying the beautiful weather and lots of handicap accessibility. I have my own apartment with an adopted cat Zephyr, and I am beginning to live my life again! With each step forward I face new choices, new lessons, and new moments of challenges. My latest challenge was buying an adapted van! My intention for new life in Florida is to live my passions teaching Avatar, teaching art workshops, making and selling art, and promoting my music. I am currently enrolled with Vocational Rehabilitation Services and they are going to help me start my own business or find a job that suits me, and having my own vehicle is a vital step towards these goals. Vocational Rehab does take time however, and I’m currently on a waiting list. I want to be completely independent despite my challenge. So far, all signs point to YES it’s possible—and I know in my heart that it will be even easier with a group of support behind me. So, I write this letter to update you on my progress and to thank you for your ongoing support—and to ask for your help. I am currently raising funds to pay for the cost of my new adapted van. If you feel so moved, please share with your friends and families. To help with the financial burden of my van and uninsured expenses, a fundraising campaign in my honor has been established with HelpHOPELive, a trusted nonprofit organization that has been providing community-based fundraising guidance to patients and their families for more than 30 years. All donations are tax-deductible, are held by HelpHOPELive in the Mid-Atlantic Spinal Cord Injury Fund, and are administered by HelpHOPELive for injury-related expenses only. Please consider a contribution. 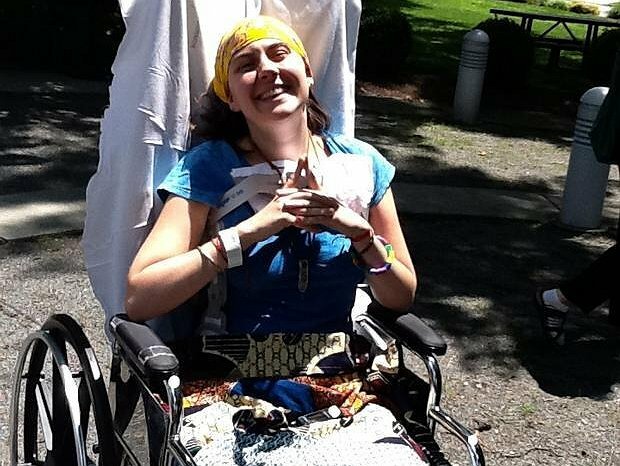 It’s been 6 years since I sustained my spinal cord injury, and I am asking and reaching out for support in this next step on my journey of taking back my life. I’m updating this page in gratitude for the many changes that have taken form in my life since I first made this fund….. I am now married and living in the beautiful state of Michigan! My husband has a job he loves with Ford as an engineer working on the electric vehicles. I’ve been getting used to the new climate and have been searching for new jobs and ways to get out and meet the community! I sold my minivan in FL before moving so now I am back on a mission to create an accessible and safe vehicle that will be better equipped for the roads here and the SNOW of course! I recently decided to have a major surgery to alter the way I manage my bladder and I am currently healing and recovering. The future is bright and full of greater quality of life. It will take at least 2-3 months to make the transition and start learning my new body. Over the year I will get better with a new and improved bladder! Although Spinal Cord Injury is physically challenging and a daily emotional struggle full of will power training and controlling my attention…. I’m learning valuable lessons every day!!! IF you are donating under $250 and would like a tax receipt, you can either call or write to HelpHopeLive to request. Any donations above $250, automatically get a tax receipt. THANKS everyone! Seeing your legs fluttering away in that video was amazing and inspiring. We think of you and tell your beautiful story of hope and courage more than you will ever know. Please let us know when you are anywhere near CT and Keep On Dancing, Laurie! We love you! Laurie, hope you are enjoying your new adventures. You are an amazing young woman, with so many talents to share.